Nestled on a private knoll in the Country Club at the edge of Orindawoods, this one level home provides a functional floor plan with tasteful design integrity. An enhanced modern kitchen seamlessly flows into the dining room and living room providing a perfect hub for entertaining or casual living. Conveniently located near town, the Orinda Country Club, Lake Cascade and BART/commute. 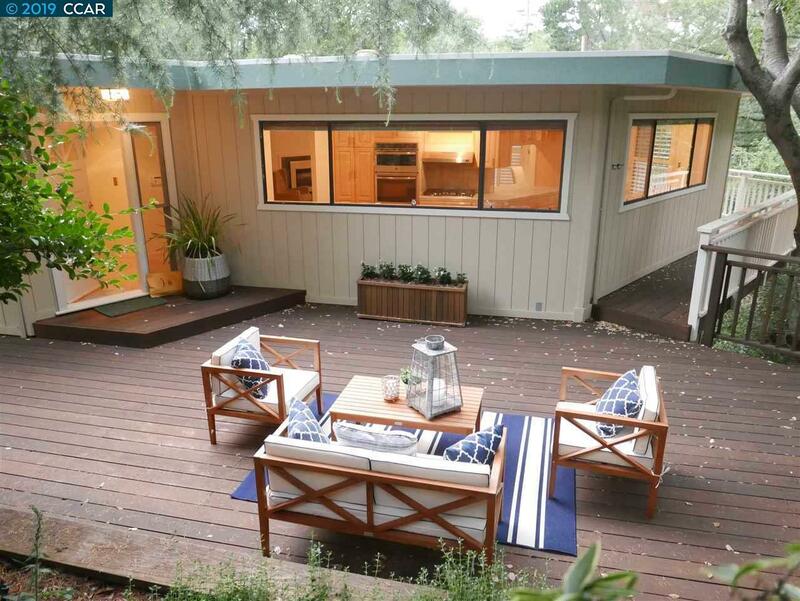 Set within a sought after enclave of Orinda's finest homes. Very well maintained, new roof and numerous upgrades of quality craftsmanship. Incredible privacy, natural setting of great beauty and tranquility.